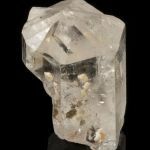 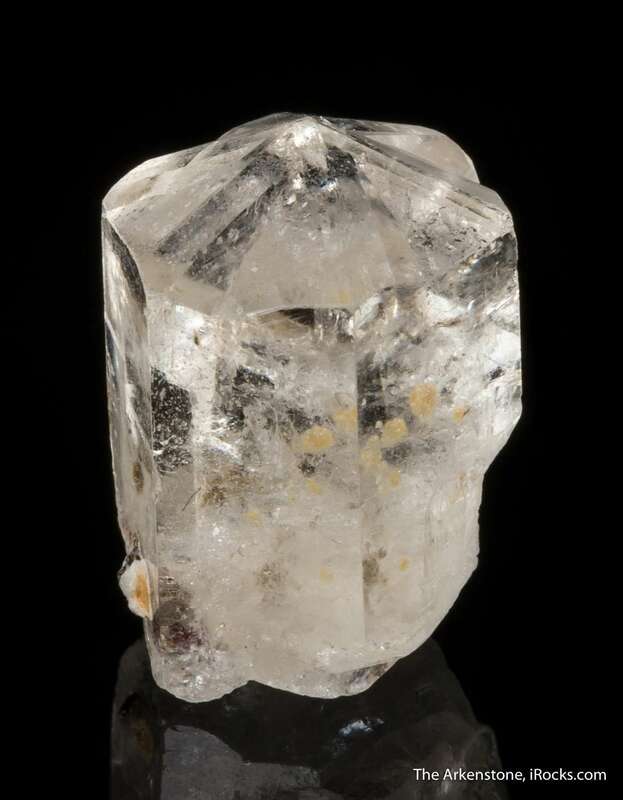 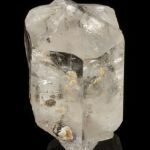 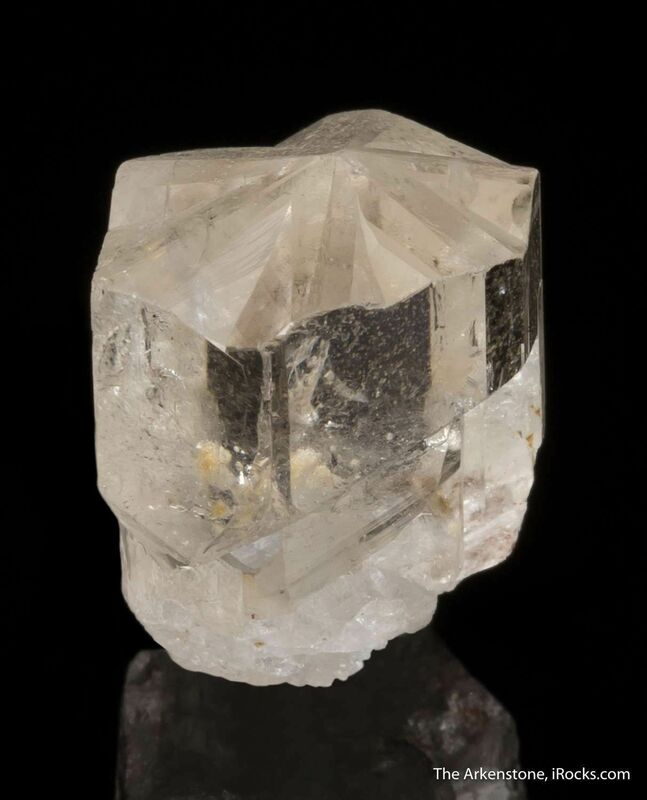 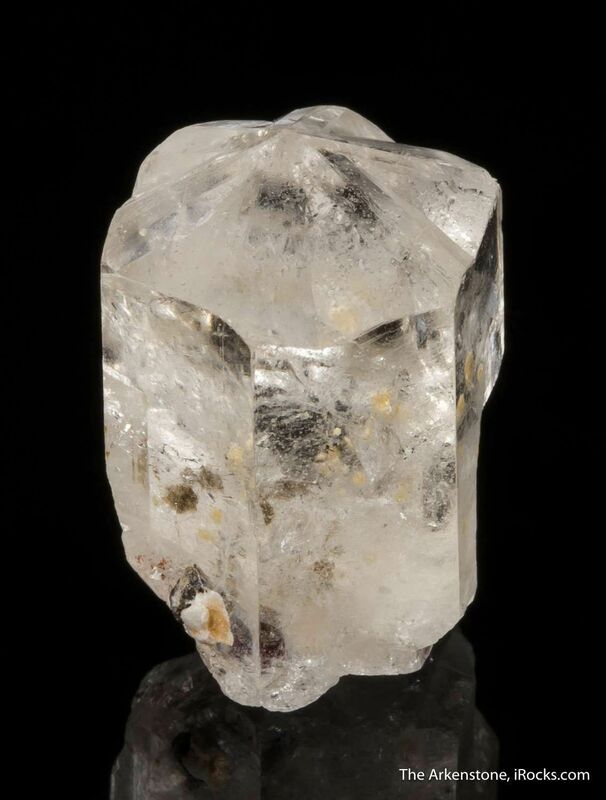 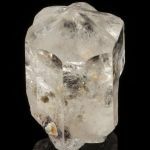 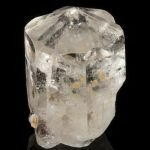 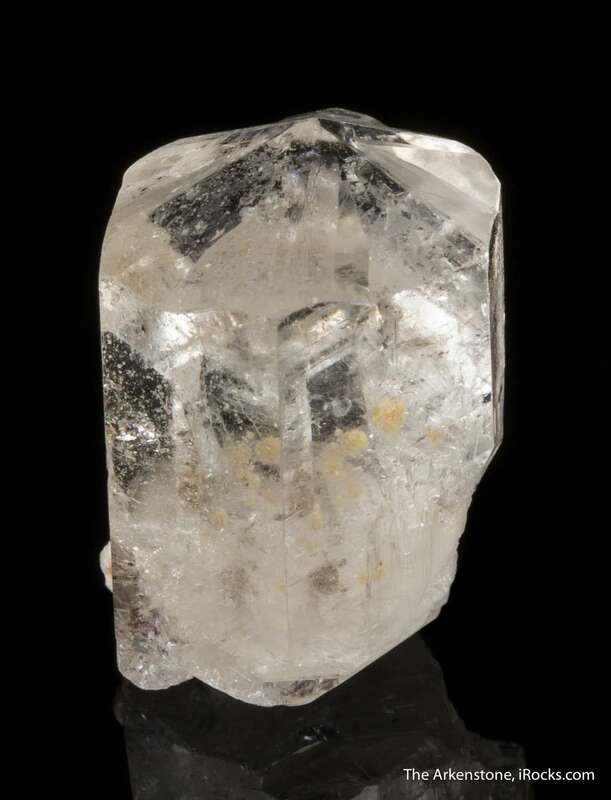 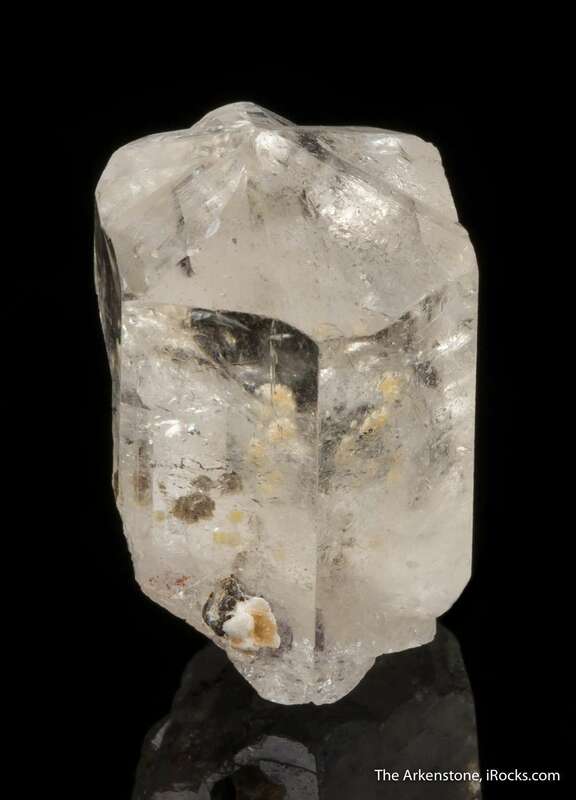 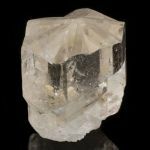 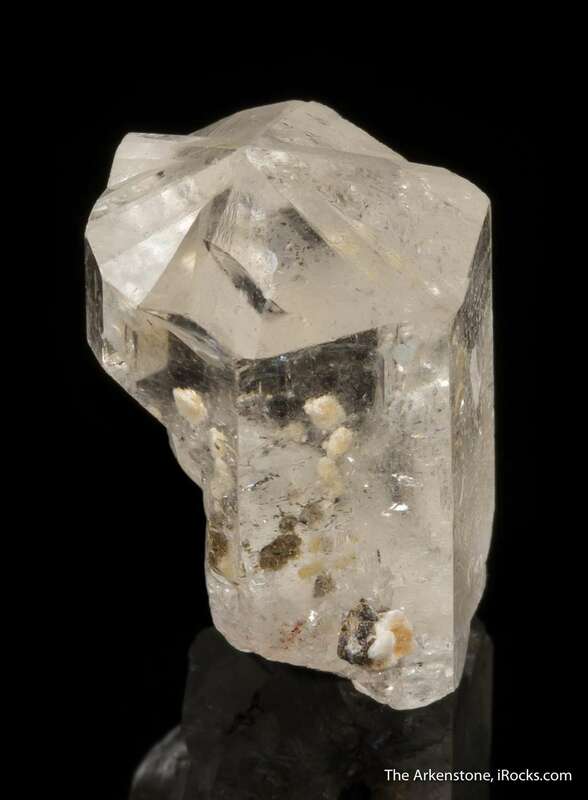 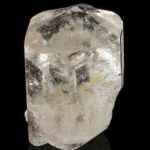 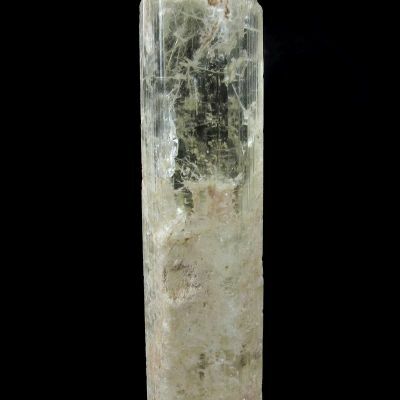 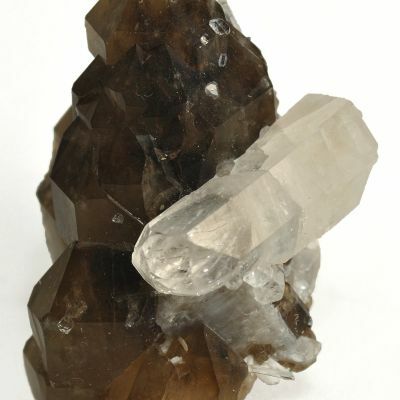 This is a rare twinned crystal of gem phenakite from a small find in Burma some years ago. 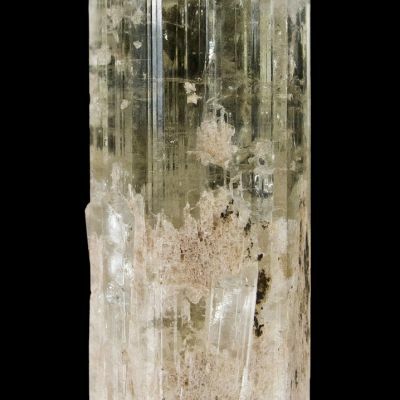 Fine and colorless, it shows off a textbook, but rare, "drill-bit twin" termination. 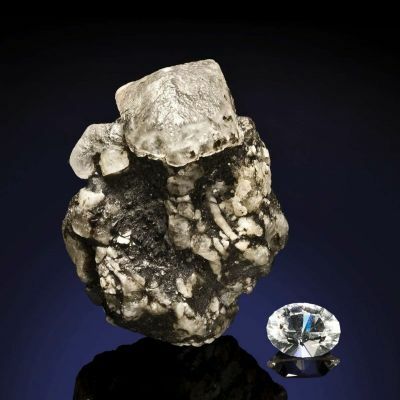 It is definitely worthy of any major thumbnail competitive exhibit case.